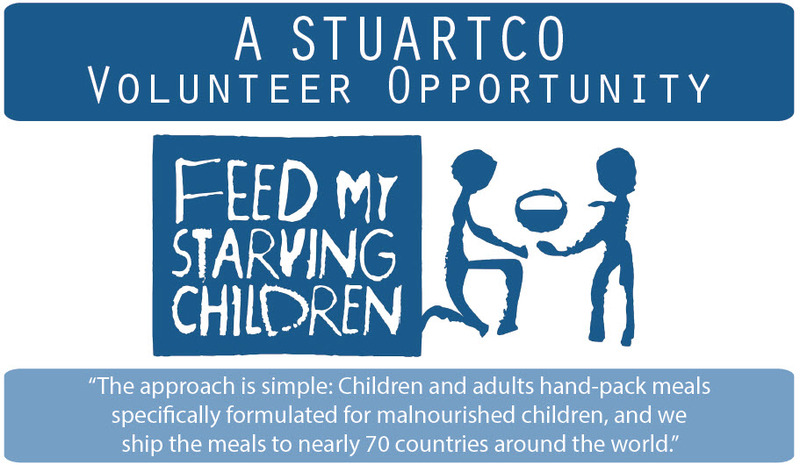 Today, over 60 StuartCo employees will participate in a food packing event for Feed My Starving Children. We are thrilled to be able to give back as a company! FMSC believes in sustainability – they don’t simply send one shipment of food to a country. Instead, FMSC continues to provide the mission partners with the food they need to maintain their feeding programs. An interesting fact, a single meal costs only 22 cents to produce, and 92 percent of total donations goes directly toward the food program. If you’d like to find out more about FMSC and how to get involved, please visit their website here.